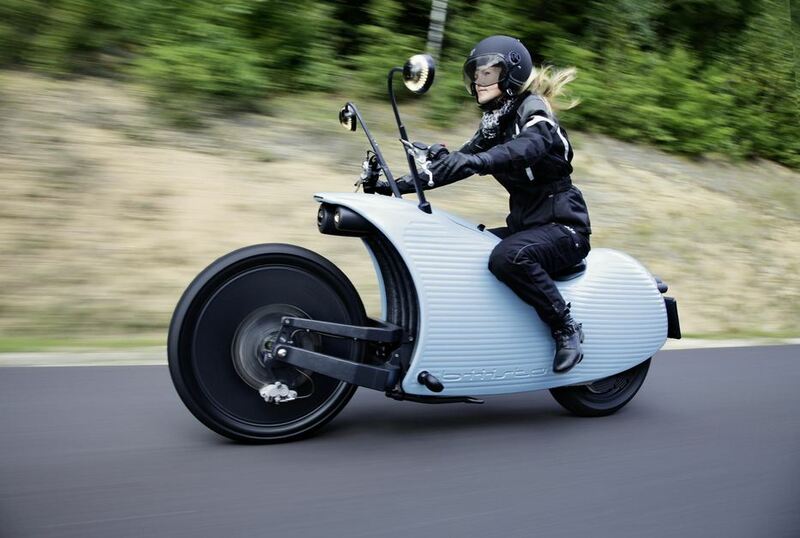 Futuristic electric cruiser with innovative energy technology. 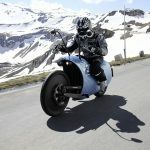 First series motorcycle with a range of 200 km, developed and manufactured in Austria. The electric motor and controller are integrated into the rear wheel – no maintenance required. A very special advancement has been made in battery pack development. 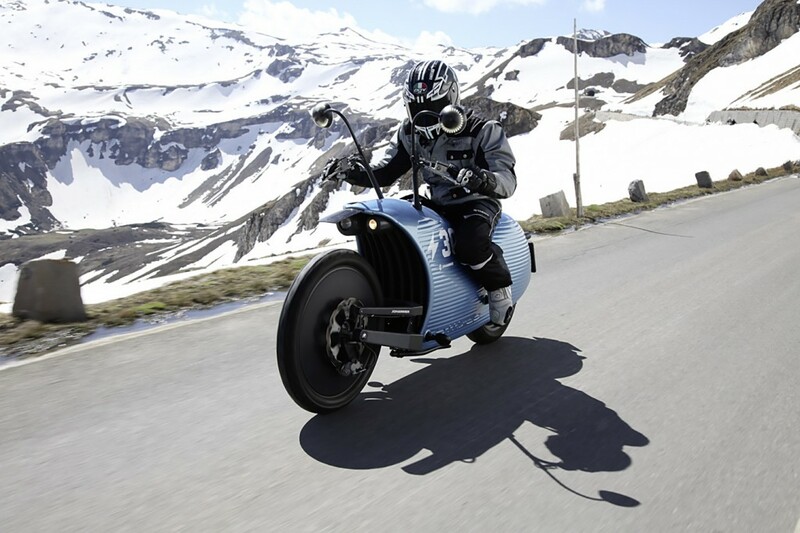 No other motorcycle manufacturer in the world is currently able to offer EV mobility with this level of technical features.The extremely torsion-resistant aluminium main frame accommodates the shock absorbers and battery pack. Perfect synergy in terms of weight, stability and function.The ideal centre of gravity (350 mm) offers a secure feeling and very comfortable ride. The position of the handlebar and footrests are adjustable. All dash displays are integrated into each of the round rear-view mirrors. High resolution 2.4″ colour screens provide information relating to speed, revs, warnings etc. at-a-glance. Really unusual and interesting look… I like it! But isn’t it a bit too slow, weighing 350 pounds?